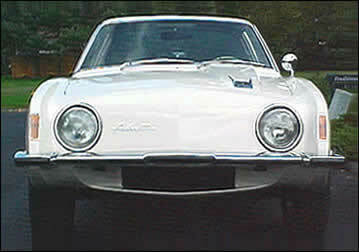 Which 1960s sport coupes are most like the Avanti? 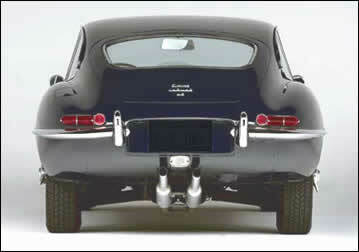 The Jaguar E-type 2+2 is probably the model from the period that is most like the Avanti in concept, price, and style. The four-seater version that was added in 1966 offered the option of an automatic transmission and the body is 9 in (229 mm) longer. The muscular and rugged Chevrolet Corvette has its own unique charms, but lacks the sleek and futuristic élan of the 4-passenger Avanti (or the Jaguar XK-E). Sport luxury cars like the Buick Riviera, Oldsmobile Toronado, and Ford Thunderbird lack the Avanti's timeless styling and speed record credentials. Was the Avanti the first "pony" car? Detroit's "pony" cars, like the Ford Mustang, Mercury Cougar, Chevrolet Camaro, and Pontiac Firebird, are worthy design offspring of the Avanti, but all seem rather conventional next to the Palm Springs designed Avanti. Unsurpassed simplicity gives the 63 Studebaker Avanti an eager and elegant look. Biggest difference from behind is the size of the rear windows. 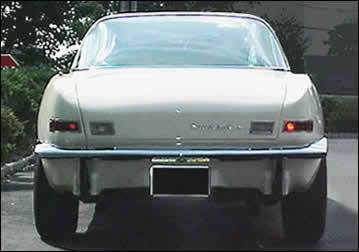 Both designs minimized the bumpers. The Jaguar E-type 2+2, which was added to the XK-E line in the mid-sixties, is probably the model from the period that is most like the Avanti in concept, price, and style. 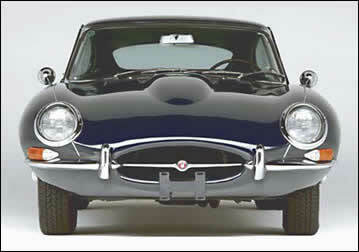 The Jaguar E-type or XK-E was manufactured by Jaguar between 1961 and 1974. The Jaguar XK-E was designed by Malcolm Sayer.